Before Inception lies the temple of 80’s filmmaking called Dreamscape. The star-studded cast includes Dennis Quaid, Max von Sydow, Kate Capshaw, and Christopher Plummer. Even a sweat-soaked Eddie Albert! 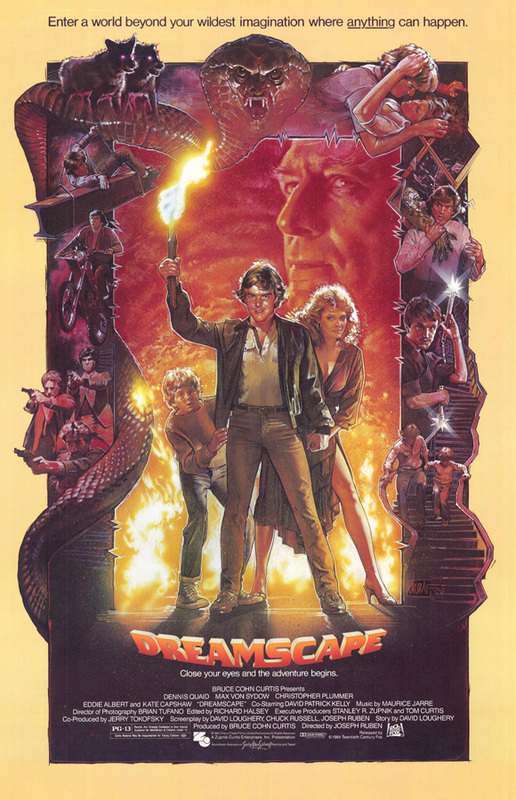 I’m not even being ironic about Dreamscape, it’s a fun flick. Nothing better in the “dream-invasion” genre until Inception. For best results, watch with friends. For you ETOHolics, take a shot of Johnny Walker for each station wagon in the film.